The Craft Cool Mesh Superlight short sleeve base layer provides a superior cooling effect with a 3-dimensional ergonomic fit for freedom of movement during workouts in hot conditions. Craft Cool functional underwear is designed specifically to keep you cool while exercising in warm indoor and outdoor conditions. The underwear comes in two high-tech fabrics: plain and mesh. Both fabrics are based on the use of a hexa continuous filament, a uniquely patterned construction with six channels that pull perspiration vapor off the body to keep it cool. 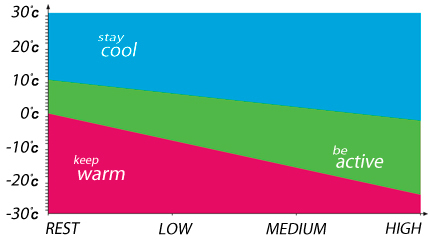 Furthermore, the Cool range resists odours and stays cleaner longer. COOL MESH SUPERLIGHT is a lightweight mesh fabric combines a six-channelled fibre and a mesh construction with large openings to provide superior ventilation and cooling. This superlight mesh fabric has a structured surface that allows air-channels to form between the skin and the garment, enhancing ventilation even more. Craft use this fabric in full-mesh garments as well as in hot spots for enhanced ventilation. Craft Cool Mesh Superlight Short Sleeve Base Layer is rated 4.7 out of 5 by 124. Rated 5 out of 5 by 38tedswan from 여름에 인너로 사용하기 매우 좋아요 망사로 되어있어서 세척할때 빨래 망이나 손빨래 해주시는게 좋을거같아요 라이딩 할때 땀이 잘 흘러서 내려갈수 있도록 망사모양이 되어있구요 잘건조되어서 좋아요 가격또한 저렴하니 추천합니다. Rated 4 out of 5 by Rich333 from Great base layer for hot and cold This is the 2nd of these I have bought. Having bought the first one, I now never go out without a base layer. In warm weather it helps with wicking away sweat and was good in temperatures higher than 35deg C. It also works really well keeping me warm when it gets colder meaning I can hold off wearing a bulky jacket for a bit longer. However, one slightly disturbing thing is that the armpits go an alarming yellowy colour that doesn't happen on any other clothes (cycling or non-cycling) that I wear (that's why only 4 stars). I wonder if ti's caused by the fine mesh weave... The same thing has happened on both the Craft base layers I've got. I have a non-mesh Rapha base layer and this does not happen with that garment. Rated 5 out of 5 by kiwiroadbiker from Extra coverage of the T over vest Excellent light race base layer for slightly cooler conditions. The short sleeves give a bit of extra warmth around the shoulders for late summer racing. This base layer is slightly better in terms of the material over the dhb version. 175cm. 71kg and 39 inch chest. M is perfect fit. Rated 5 out of 5 by MihaiN from best - first layer Is very light weight and fits very good on the body. Is very comfortable when riding. I am 6ft 4 and around 80kg and found the large to be a great fit. Can you tell me when you expect to get a medium in white in stock? If you select the item from the drop down menu you will be able to see if it's in stock or not. If it is not in stock it will also give you an estimated time of arrival.